We have cemented our presence among the successful Manufacturer, Exporter and Suppliers of Gold Refining Plant. Gold Refining Machine, Capacity: 1kg To 200Kg. Shell Soaker Visbreaker technology under the Licence of ABB Lummus, Holland, has been adopted to upgrade heavy vacuum residue to Gas, Naphtha and Gas Oil. 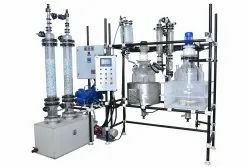 This is the first Unit in India to have Vacuum Flash column producing Vacuum Gas Oil, that is used for supplementing the feed stock to Hydrocracker Unit and extracting maximum value from short residue. Matching with the customer’s requirements, we are engaged in offering a large range of Automatic Gold Refining Machine. We provide Automatic Gold Refining Machine for refine gold Dore bar, gold dust, factory row & dust. 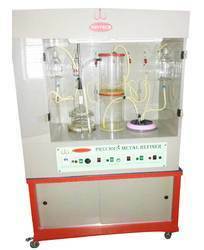 This Automatic Gold Refining Machine is available in accurate dimensions and sturdy construction. We offer Gold Refinery Machine. We are offering Gold Refining Machine. As per the industry standards, we are engaged in offering a wide assortment of Gold Refinery Machine. The offered product is used for purifying gold and many more metals in various places. Our Gold Refinery Machine is highly demanded in the market for their long functional life and high grade quality. Moreover, our Gold Refinery Machine is easy to use. We ensure superior quality range of Automatic Gold Refining Machine designed for several essential industrial applications and are quality assured. A versatile solution for different window and door assemblies. Prepositioned thermal chamber gives excellent heat insulation. Specially designed slope rebate for effective draining of water.